The Sony Group Environmental Vision presents a philosophy and principles for environmental management activities throughout the global Sony Group with the aim of contributing to the realization of a sustainable society. Since enacting the Sony Global Environmental Policy which is a predecessor of the Sony Group Environmental Vision and the Environmental Action Program, in 1993, Sony has pursued a broad range of environmental initiatives. Concurrent with the formulation of its Road to Zero global environmental plan, in 2010, Sony revised the Sony Group Environmental Vision. Sony reduces energy consumption and strives to achieve zero emissions of greenhouse gases*1 generated throughout the lifecycle of our products, service and business activities. 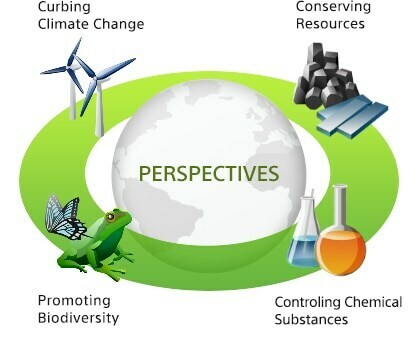 In order to realize the Environmental Vision, Sony formulates targets and concrete plans and initiates actions to implement, while contributing to a better society through partnerships and communications with internal and external stakeholders. For more information, please refer to "Sony Environmental Plan" at the Sony and the Environmental website.